By the following day, of course, we all had other things to worry about. I did read the book, though, and although I find it hard to correlate the two things in my mind these days, it must have been during those first few awful weeks. What I do remember is that I loved it. Like everyone else, I saw aspects of my own family, especially my grandparents, in Franzen’s novel, and I was blown away by its intelligence, sympathy, and unexpected humor. Franzen’s gift for comedy is enormous, although it wasn’t much in evidence in Freedom: at his best, he’s funnier than most conventionally humorous writers, and in retrospect, The Corrections feels like an unsung precursor of the cringe humor that would dominate the following decade. (Gary’s drunken misadventure with a pair of hedge trimmers is one of the few passages from any recent novel that I regularly reread for my own pleasure.) And I was especially struck by the fact that The Corrections was originally a fragment of a much longer work that Franzen refined to focus on the emotional story at its core, which is an example that more novelists, including myself, could stand to follow. Frankly, it isn’t hard to understand Franzen’s feelings, as terrible as he might have been at expressing them in the moment. 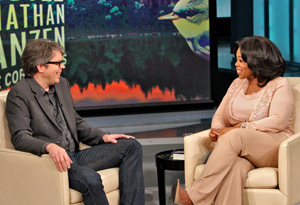 (His famous quote referring to Oprah as “a hero—not a hero of mine per se, but a hero in general” still makes me wince.) When you’re a writer, especially one who has been toiling away at craft for years with less recognition than you think you deserve, you want to believe that you’ve gotten where you are based solely on talent, rather than the book club lottery, and you want to prove to your own satisfaction that you could have made it on your own. If there’s anything that Franzen’s example proves, though, it’s that a book’s success or failure is out of the author’s hands. 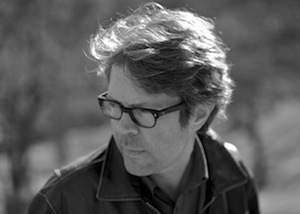 The Corrections is still an extraordinary novel, and it was more than worthy of the hype it received, but it reached its cultural position thanks to the confluence of countless factors: Franzen’s essay, the publisher’s determination for it to break through, the insane social and historical circumstances of its release. It’s as extreme a case as they come. But its own way, it’s a reminder of how little any of this is within an author’s control. Absolutely! My memories of that book’s release are similar to yours, including the cringe-worthiness of J’s response to the whole Oprah thing. It was always clear to me that The Corrections was pushed in a way that few books are ever pushed, which is completely beyond the author’s control, but for once the product lived up to the hype.